If there are any lawyers out there who are starting to relax, believing that predictions of the demise of law as we have known it in the face of technological change have been exaggerated, they should think again as 2017 begins. A growing hum of activity by the sort of bright and industrious people who have transformed the world in many other respects is being heard in legal corridors hitherto largely undisturbed by the modern world. As their ideas achieve traction, they will disrupt the profession and perhaps even displace lawyers who imagined their careers were set to last a lifetime. This is not to anticipate that many, or most, lawyers will fail to adapt. Those approaching their careers’ end may be grateful to be spared a technological legal future, and those nearer the start might be content that their professional lives are converging with their IT-rich private lives. 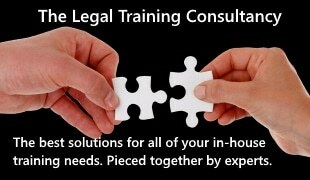 Inevitably there will be some who do not fit either category and struggle to embrace the new paradigm of legal practice. The profession, always a broad church, seems to include an older school who practise law as much as a social good as a business. They lament the loss of legal aid and the access to justice it brought, and view with suspicion politicians’ embrace of IT – regarding it as a convenient and poor substitute for public subsidy. At the other extreme, there is a breed of lawyer exhilarated at the possibilities offered by new technologies and their potential to liberate the law from tedium. They hope that artificial intelligence (AI) will not only increase real access to justice but enhance the role of lawyers rather than replace them. The courts and tribunals system, according to a figure not known for hyperbole – the Lord Chief Justice, Lord Thomas of Cwmgiedd – is about to undergo “the most radical reform for 150 years”, much of it underpinned by recent technological developments. He also heralded the coming of technology that would “be better at predicting the outcome of cases than the most learned Queen’s Counsel”. AI software which can sift vast amounts of data formerly done painstakingly by people, is increasingly being applied to the law. Aside from e-disclosure, probably the best-known of these is ROSS Intelligence, which gives legal answers to natural language questions. Much newer, an AI app has been launched to help draft confidentiality agreements. Futuristic AI applications tend to be the ones that grab the headlines, as they become routinely adopted by large firms anxious to meet the demands of ‘more for less’ from clients who are themselves under pressure to save on legal spend. They are also perceived to have the greatest potential to displace human activities. Smart applications involving digital security such as blockchain and automated ‘internet of things’ technology in the realm of contracts and commercial interactions between parties are being trialled, with potentially far-reaching consequences. 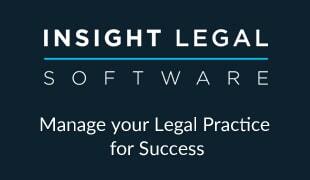 Sophisticated digital virtual assistants are already in use by in-house legal teams. Dentons, the world’s largest law firm, has been at the forefront of lawtech developments, with significant investments through its NextLaw Labs subsidiary. Among other things, it is testing potentially ground-breaking software that attempts to predict the likely course, cost, length and outcome of litigation. Last week London firm Mishcon de Reya launched its own lawtech start-up incubator. Chatbots, which present a neutral, non-judgemental interface to the victims of crime, as well as bringing claimants within a few clicks of making representations in civil claims, are appearing with greater frequency. As a measure of the popularity of this form of communication: since April, when Facebook opened its Messenger platform to developers, reportedly more than 34,000 chatbots have been launched. But there are other innovations being tested daily that cumulatively have the potential to do to legal practice what Amazon and eBay have done to retail, or what the internet is doing to print media. 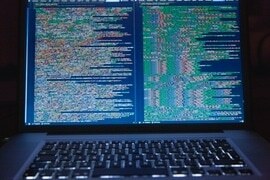 In just the last couple of months, Legal Futures has profiled the use of technology to mine ‘big data’ to discover what liability companies have for licensing the computer code buried within their systems, the use of AI-backed processes to automate the submission and handling of small claims, and the use of everyday computer games technology to impart important compliance information to employees. Our latest profile investigates the launch of a seemingly old-style online wills platform. This venture hopes to crack the intractable problem of people being deterred from making wills, by creating a process so customer friendly and intuitive as to overcome their reluctance. Gaining an accurate insight into the current state of the overall lawtech scene is difficult due to its spread and diversity. In an innovative attempt to illuminate it, the London-based lawtech start-up community, Legal Geek, has produced a map of activity, its design based on the London Underground map. An alternative is to look at the AngelList legal start-ups investments summary, which details 1,407 companies, funded by 724 investors, with an average valuation of £3.9m. They span the entire gamut of law-related activities, from legal recruitment to online dispute resolution and from paralegal services to crowdsourced legal advice. Most start-ups on the list are US based and while some of the names are familiar, many are not. Almost all were founded within the past five years, with the majority in just the past two or three. A fair proportion are in the process of recruiting, although virtually all are looking not for lawyers but for software engineers, or to fill business, marketing or sales positions. The impression given is one of a vast engine of lawtech innovation throbbing below the radar of many lawyers, who carry on business more or less as usual, oblivious. Its disruptive output has emerged into the open in parts of commercial legal practice, establishing itself as a fixture in those areas where viability is proven. If other sectors of the economy are a guide, it cannot be long before the lawtech innovations being trialled amount to competition – perhaps even an existential threat – for lawyers who do not operate in the commercial law space, especially as they gain traction with the same ‘digital native’ generations that dreamed them up – and who will soon become the majority of legal consumers. Great summary Dan. Enjoyed the read. So true… and yet so many law firms want to play it “safe”. The thing is – safe (same old, same old) won’t feel so safe when your competitors who are innovating eat your lunch. Then it’s too late. Game over. Safe now is being tech centric and many firms need to wake up and smell the coffee. Tick, Tick.